ESPN’s Ivan Maisel had an interesting take on Auburn’s Gene Chizik. 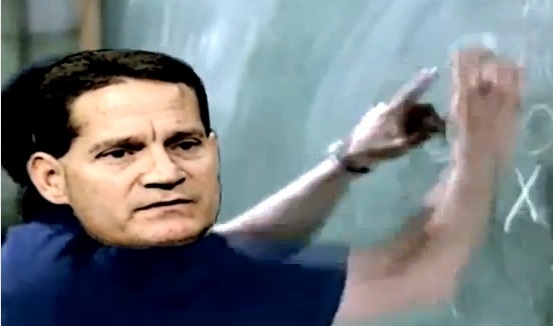 He thinks Chizik’s time down at Auburn can be compared to Mike Dubose’s time at Alabama. Basically what Maisel is saying is what a lot of people (not just Alabama fans) have been thinking but afraid to say: Chizik is an average coach who had his best year when he had the best player in the country on his roster, but without him, he and his team are average at best. Yeah, that does kinda sound like the Mike Dubose years.